Tourists frequently travel to the northwestern states for one reason: to pick huckleberries. It is a huge industry in the Rocky Mountain states, especially Montana, Oregon, and Washington, where the weather is perfect for producing beautiful dark berries. 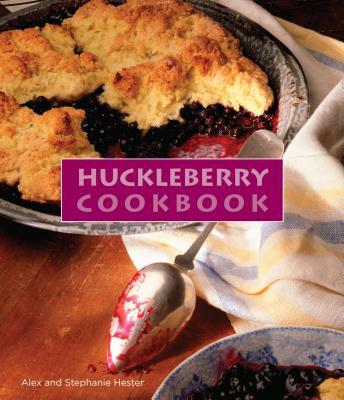 This gift-sized cookbook is printed in huckleberry purple and includes recipes such as Huckleberry Sourdough Pancakes and Huckleberry Cheese Pie. Few berries merit a dedicated cookbook, but if you've been to Montana in the summer, you know this book will be an instant hit. Alex and Stephanie Hester have lived in huckleberry country for most of their lives. Near their family cabin in Montana, they have their own secret picking spot where they have spent many hours hand-picking berries and using them to prepare delicious dishes. Both Alex and Stephanie earned their undergraduate degrees in Environmental Studies from The Evergreen State College in Olympia, Washington. Alex is a counselor and supervisor at a residential treatment center for children by day. In his spare time, he caters special events and private parties and enjoys experimenting in the kitchen. Stephanie recently completed an M.B.A. degree from the University of Montana in Missoula, and works for the National Parks Conservation Association. She enjoys eating Alex's dishes, spending time in the outdoors, and traveling. Stephanie and Alex reside in Helena, Montana, with their son, Jack.